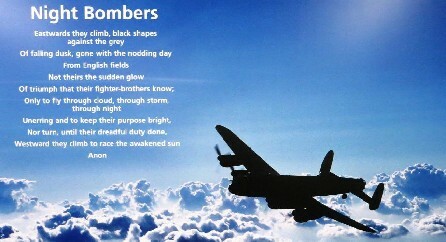 A poem / photograph displayed at the BBMF Visitor Centre at RAF Coningsby, Lincs. Unfortunately at the time of sending out this newsletter we have no further details to report about the ME846 crash site in northern Belgium and the search for the remains of our missing pilot ‘Captain’ Davis. 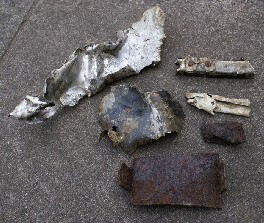 You may recall in 2012 some possible parts were delivered to Newark Air Museum from Belgium by Wim Govaerts and his colleagues; and this remains the last substantial input that we have received about the possible crash site. Some of these items are pictured below. Should this situation change we will of course inform you all. We keep in close communication with Kamiel Mertens who was instrumental in co-ordinating the Belgian connection in 2005 and bringing us together there. Kamiel makes frequent visits to the memorial and lays flowers on commemorative days. 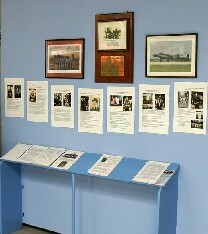 Work is now well underway on the refurbishment of the Lancaster Corner display area at the museum. This refurbishment work has been timed for completion before several significant anniversaries connected to the museum’s display of Lancaster artefacts associated with the famous bomber and wartime RAF Winthorpe, which was the 1661 HCU training base for 5 Group Bomber Command. 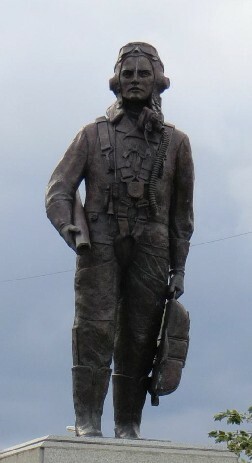 The museum’s 619 Squadron ME846 Lancaster display, is still in place and tells the story of the crew training on Stirlings with 1661 HCU at RAF Winthorpe; the events leading up to their Lancaster, ME846 being shot down; and the search to find the crash site and the remains of the missing pilot. Displayed alongside the ME846 display is an UPKEEP Mine (Bouncing Bomb). This legendary weapon is on loan from the MOD, which was made possible thanks to the efforts and good offices of the Sir Barnes Wallis Memorial Trust. This item was a test piece mine dropped at Reculver in preparation for the Dambusters Raid. During the weekend of 18th / 19th May 2013 a series of temporary Lancaster displays will be exhibited at the museum as part of a Lightning & Lancaster Weekend. This is a new publication that is due for release in early March 2013, which has been compiled by Howard Heeley. 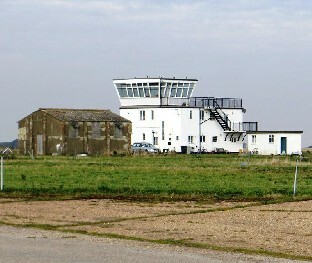 It features several bases that 619 Squadron (The Forgotten Squadron) operated from, including: RAF Woodhall Spa, RAF Coningsby and RAF Strubby. We understand from Howard that ‘Our Squadron’ will be well represented in the booklet and he is willing to arrange to send copies out to anyone who is interested. Please send him an email to request a copy. Below is an extract from one of the texts. 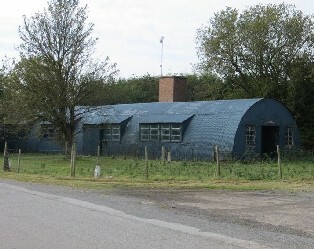 “RAF Woodhall Spa opened as a satellite base to RAF Coningsby in February 1942. The first squadron to fly from the base was 106 Sqn; however the Lancasters of 97 Sqn arrived on 1 March 1942, becoming operational on 20 March 1942. 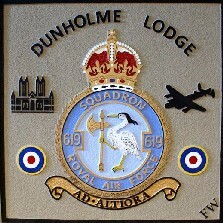 In April 1943 97 Sqn moved to RAF Bourn but three crews remained as the nucleus of 619 Sqn (The Forgotten Squadron), which formed at RAF Woodhall Spa on 18 April 1943 and the squadron became operational on 11 June 1943. As part of the work to compile this booklet Howard visited most of the former RAF sites in East Lindsey and this included the former RAF base at Strubby where 619 Squadron was stationed in John Whiteley’s era. 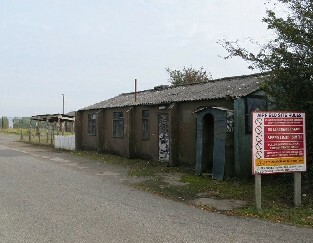 A lot of the original wartime buildings still survive and a few are pictured below, including the former Watch Room, which is now someone’s house. Several members of ‘Belgian’ and ‘Petwood’ singers have now moved on to various universities and now graduated in some cases; whilst the ‘youngest’ singers are both studying hard for their A Level exams, with university applications on the horizon. “David Wootton has used his office as Lord Mayor of London to drive initiatives linking the financial sector with the broader economy including significant support for niche manufacturing. The Jane Knox-Kiepura website continues to be a good focus for people investigating family connections with 619 Squadron and several active investigations are on-going and being supported wherever possible. While this newsletter was being compiled, Jane Knox was excited to receive an email from Lynn Bowering in Canada. Lynn is the daughter of Cliff Bowering, the only brother of Jack ‘Porky’ Bowering. Her mother is an English war-bride who married Cliff in England in January 1944 and Lynn was born in the years following WWII. Lynn’s mother met Porky several times, including a week when he came to visit her and Cliff in Llandrindod Wells. He was to have been the best man at their wedding in January 1944 but was unable to do so because of ops. Her grandparents cherished the memory of their son for the rest of their lives and he was a living presence in the lives of their grandchildren. As you can see some new benches have been positioned alongside the Memorial in Belgium. The picture below was provided by Frans Maes, son of Dimpna STERCKX whose family so bravely hid Peter Knox and Reg Brookes in 1944 at their Farmhouse in Hoge Hof in Geel. Dimpna Sterckx is now in a Rest Home in Geel. We send her our best wishes. 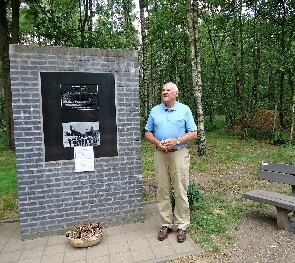 In spring 2012, James (Jim) Humphreys** below, visited the Memorial and left a wreath. ** Jim was Australian Ambassador to the OECD in Paris and has served as Australian Ambassador to Denmark and later, Ambassador (High Commissioner) to Canada. Jim had made contact with Jane Knox concerning his brother P/O Bruce Humphreys RAAF, who was killed in a flying accident on 17th April 1944. He was flying Lancaster W4232 that crashed whilst training at No 5 Lancaster Finishing School at RAF Syerston, Notts, at approximately the same time that the ME846 crew were training there. 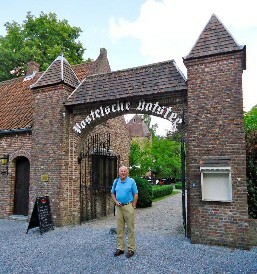 Jim is pictured below at the Postelsche Hofstee, where we dined in September 2006. He has also kindly provided detailed instructions about how to locate the memorial site in Belgium. From Brussels, take the A12 or E19 north to the Antwerp ring road. Then take the E34 east, in the direction of Turnhout and Eindhoven. At Exit 26, follow signs to Retie on the N118. After 1.8 miles/2.9 km, turn left on the N123 towards Postel. After 4.9 mls/7.9 km. turn left onto Reuselweg. From the "de Klothoeve" restaurant on the right, travel 1.0 mls/1.6 km. Turn right into the gravel road, with a paved bike path next to it. 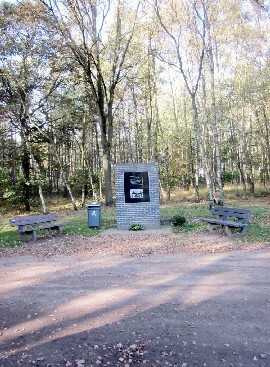 After 0.7 mls/1.1 km, the Memorial is on the left. Jane and Marjan wish everyone a great 2013. We very much welcome any news that you may wish to share for inclusion in our March Newsletter. We look forward to bringing you further updates on the 619 Squadron 70th Anniversary plans and a special report from Stephen Mills whose uncle F/Lt W F Graham PD425 - 619 Sqn was shot down in a Lancaster on 21/22 March 1945.